As I made breakfast this morning, I heard a shriek and huge sobs hurtle out of my son’s bedroom. I sprinted down the hall; a dust storm of oats and a thought bubble filled with swear words left behind me. Once in his room, I grabbed him off the floor, scooped him into my arms and assessed the situation. No wounds, no missing teeth, no tell-tale signs of future hospital bills, but still-he wailed. 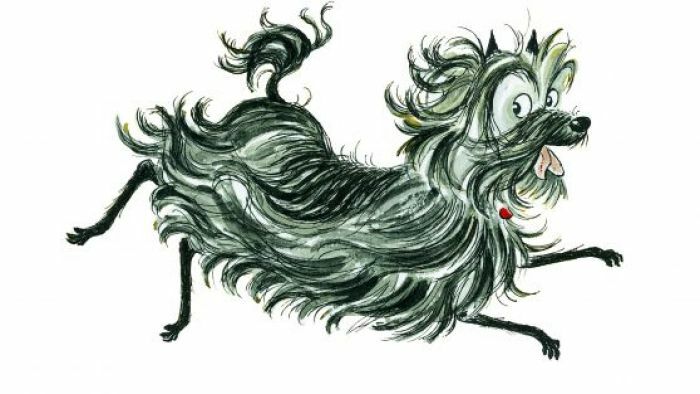 The new Hairy Maclary book he went to get from his room for ‘show and tell’ was on the floor next to him. “I won’t tell,” he blurbered into my chest. Preschool in Sydney coincides with daycare so I can leave him there from seven am to seven pm if I need to. Last week, I picked him up at five. It was a difficult day. When three o’clock rolled around, I fought the urge to go get him. When I finally did show up at five, he seemed disconcerted. It was too long of a day; I kicked myself for not trusting my instincts. So, guess who just ran across the street to pick him up at three and is now back at her desk at 3:15 typing this post?